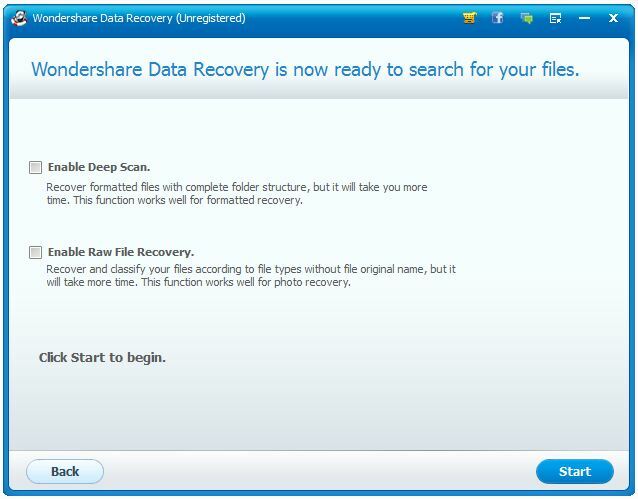 How to Recover Lost Data in Windows Step by Step Tutorial with screenshots and videos. 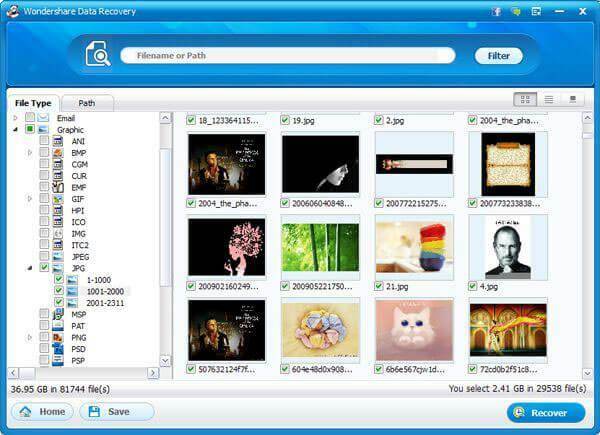 Learn how to recover deleted files with free data recovery software. 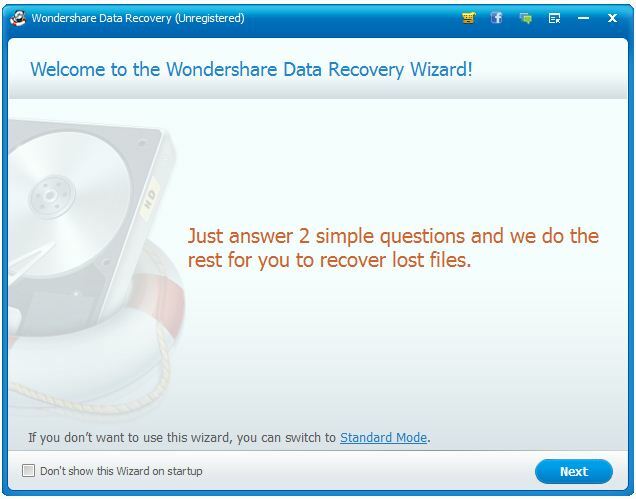 We recommend Wondershare Data Recovery Software for this purpose and will be using the same here in this tutorial. It’s happened to most of us. You accidently delete a file and realize you need it back. This tutorial will guide you how to recover lost files deleted from the Windows Recycle Bin, files lost due to the format or re-install of a hard drive, or files removed by a virus, Trojan infection or unexpected system shutdown. 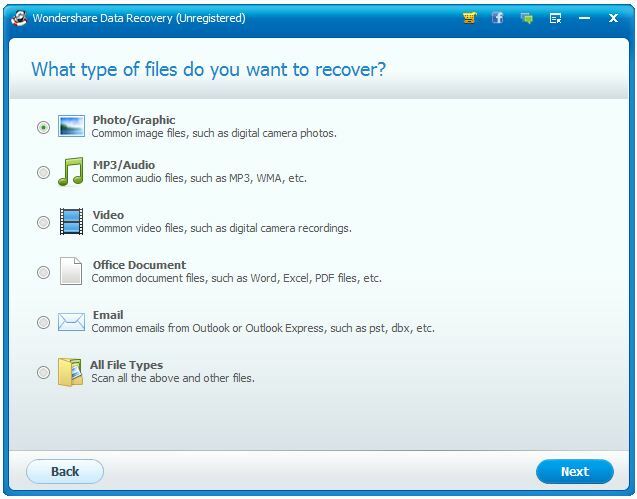 Is it really possible to recover the deleted files from computer? Yes, on Windows, if you delete a file from hard drive partition, it is still possible to recover the file. Even if you delete the file permanently from the Recycle Bin, you can still recover it because the file is never really deleted and Windows just marks the space the file occupied as available for new data storage. Wizard Mode :- This mode is for beginners. If you have no experience in data recovery you can try this mode. Wizard mode enables you to recover your files easily by selecting various options through mouse clicks. Standard Mode :- This mode is for advanced users. If you think you have experience in data recovery you can go for standard mode to perform more advanced operations. We will be using Wizard Mode here to recover lost files that is suitable for most of the users. Click the Wondershare application icon on your desktop or in windows START menu to launch the application. Right after launching your software, you will see welcome screen of Wizard mode. Click next to use the Wizard Mode or click Standard Mode at the bottom. In Wizard mode you simply need to answer two Questions and the software will do rest of the work. The wizard mode will ask you to choose the type of file you want to recover, here you will see many options for your files type. Select one of them or if you want to recover all type of files simply select the All File Types option in the list. Right after you state the type of files you want to recover the wizard mode will ask you for the location where you lost your files, here you can select a specified location, External removable devices, Recycle Bin, Desktop and My Documents. If you can’t remember simply select I can’t remember option or I can’t find my partitions. The wizard mode is almost ready but before that you will be shown two options Deep Scan or Raw File Recovery. You can select whatever suits your requirements, if the files were lost due to formatting you should enable Deep Scan and if your files have been lost for long time you should select Raw File Recovery. 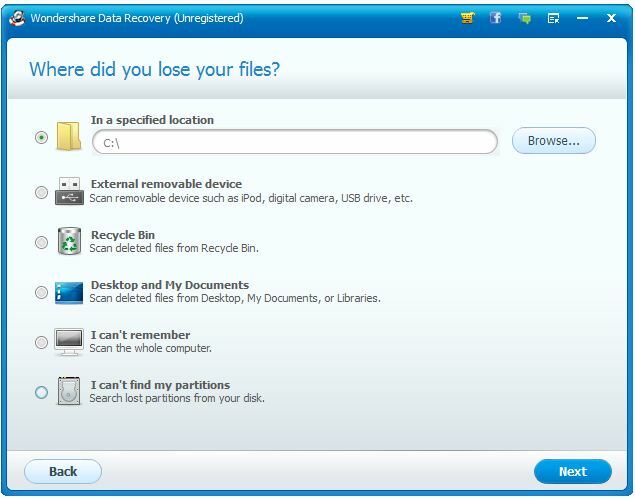 Ignore these options, if you want to recover your recently deleted files. After you have selected the option from deep scan or raw file recovery you can go ahead and click the start button to scan files. When the software has recovered your files you can preview it before recovering it. Individual file types such as archive, audio, database, graphic, video etc. will be displayed in separate tabs. After you have previewed your lost files you can simple select them and click the recover button and specify the location where you want to save your files. Watch this video tutorial showing recovery of deleted files in windows in easy steps.